Pastors and their personal finances do have an impact on a church's pastor appreciation strategy. Personal finances are challenging for most of us and your pastor is no different when it comes to handling money. Financial Peace University and the principles taught by Dave Ramsey have totally changed how I view finances for Christians. How I wish I had learned the principles taught by Dave Ramsey in Financial Peace University earlier in my adult life. Personally, if I were a young pastor, I would focus on understanding and applying the Biblical principles of finance, especially how even on a small church pastor's salary, I could have prepared for retirement far better than I did. One of the first things I would do if I could start my ministry again would be understanding business principles. Let's face it, you are either a supplier or a consumer in every financial transaction. I wish most of all I had seen myself as a businessman, not just a pastor. 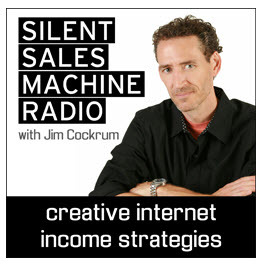 The first place I would look for inspiration and advice is Jim Cockrum's Radio Podcast. Jim has inspired Christians all over the world to start their own internet-based businesses as a way to fund their careers and also to fund ministries. You will find over 100 episodes of his broadcasts in which he interviews people like you and me who have launched their personal home businesses. Pastors, youth pastors, missionaries, Christians wPho discovered how to fund inner-city ministries and those who support relatives who are missionaries. Perhaps as you listen, one of these stories will click with you. Disclosure: Products and services whose links you click on may result in earning a commission for me as an online business owner. Let's explore how a pastor's personal finances and the financial pressures of living on a pastor's salary affects a church's pastor appreciation strategy. Personal finances are a challenge to most of us. Yet a pastor's personal finances, which are often more public knowledge than personal, are especially challenging. When financial pressures are created by a low pastor's salary, gets in the way of a congregation expressing pastor appreciation, it is often due to feelings of guilt on the part of the church for not having done more in providing for their pastor. Personally, I feel that a pastor's personal financial situation is one of the key reasons prompting career change for pastors. Most pastors I know struggle financially, even to the point that the financial pressures of life impact their pastoral effectiveness. The pastor's salary may not be a problem for your specific church, a reason for great celebration if true. But is it true? Often even that assumption is the problem for many churches -- the assumption that all is well with the pastor's personal finances, the presumption that the pastor's salary is adequate. I often suggest to my financially strapped pastor friends that they start their own business, that they explore funding their ministry through internet income building strategies. In many churches, people presume that the pastor has no financial pressures, think that the pastor's salary situation is adequate, and may even think that the pastor does not deserve a salary increase. This assumption about the pastor's salary may create tension between pastor and their employing church, which in turn, makes it difficult for pastor appreciation to be expressed (or received). "After all, his salary is double what my dad made during the Depression" or some such reason is often given. When I was a pastor of a local parish, there were times when I would have been satisfied if my employing congregation would have at least addressed pastor compensation. OK, maybe being satisfied is an overstatement, but at least knowing the pastor's salary situation was looked at would have helped me in my financial survival. Who Is The Pastor's Advocate? Just as a pastor appreciation champion needs to rise to the occasion if pastor appreciation month is to be observed, perhaps there needs to be a salary advocate to address pastor remuneration. Now remember talking about pastor appreciation in this article is the context of a church addressing the pastor's personal finances, having awareness of the financial pressures pastors face, and the analysis of the pastor salary package. For the person or persons who take on the task of salary advocate for your pastoral staff, I will address pastor compensation within the context of pastor appreciation. and obviously personal finance advice for pastors with financial pressures! Your assignment, should you accept it, would be to serve as your pastor's salary advocate. Your job is to help your church understand the uniqueness of pastor's personal finances as well as the financial pressures of living on a pastor's salary, within the context of pastor appreciation. I guess there are some people who forget that you can get a raise in how you shop! Many of us grew up hearing the quip "A penny saved is a penny earned!"